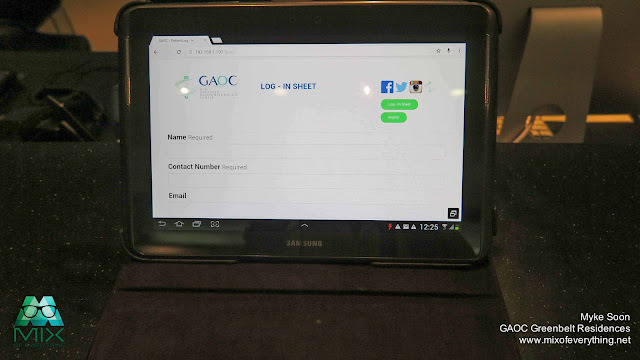 [Health] My First GAOC Experience - Hello! Welcome to my blog! Funny and true. Something that is similar to what my parents used to tell me. Often times we neglect the small things, and we forget just how important they are to us until we lose them and it hurts really bad. That's the case for me. I've been blessed with a decent set of teeth and I thought that it would last forever. I brush regularly, floss occasionally, no regular dentist checkups, no regular cleaning just making use of the dental services inclusions on my HMO card. I thought I was still doing good, then it started to hurt. One whole night of pain and no sleep. Waking up every 30 minutes because of the pain is no laughing matter. 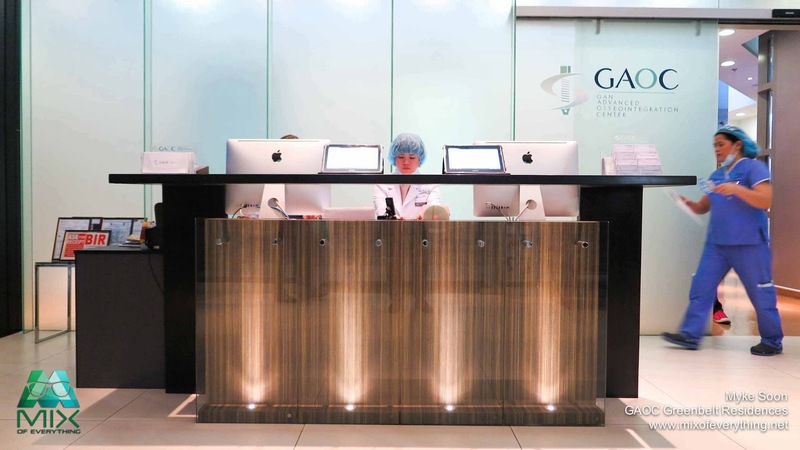 Then I started googling and came across this dental center. 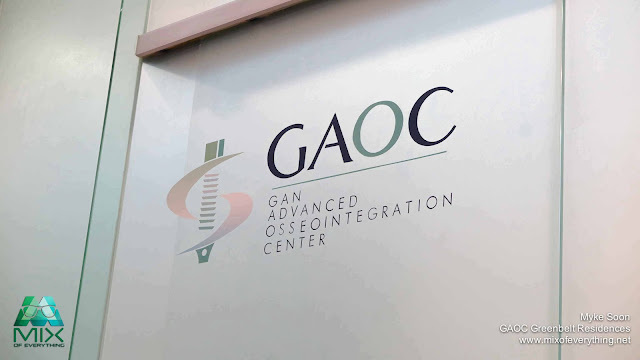 Gan Advanced Osseointegration Center is a known world-class dental center in the Philippines known for their exceptional service and state-of-the-art technology, they have a wide range of dental service to offer in oral diagnostic and surgical procedures, Dental Implantology and jaw reconstruction. 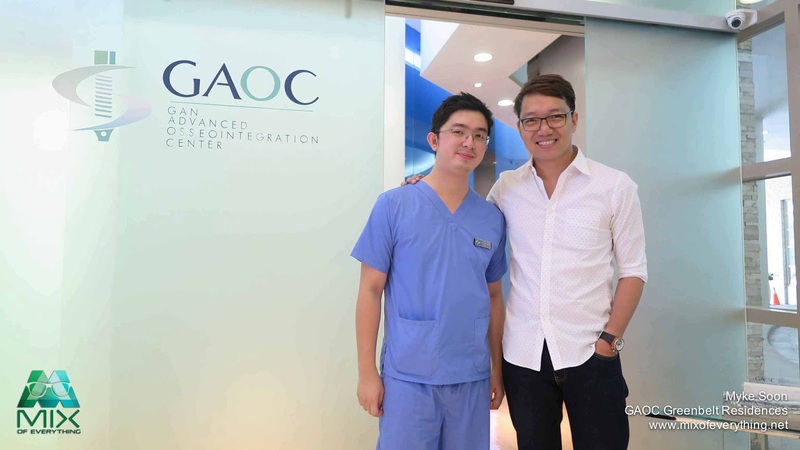 Also known as GAOC (Pronounced as gee-a-o-cee), has become the top-of-mind choice of celebrities. Even the log-in sheet of guests and patients is modern. 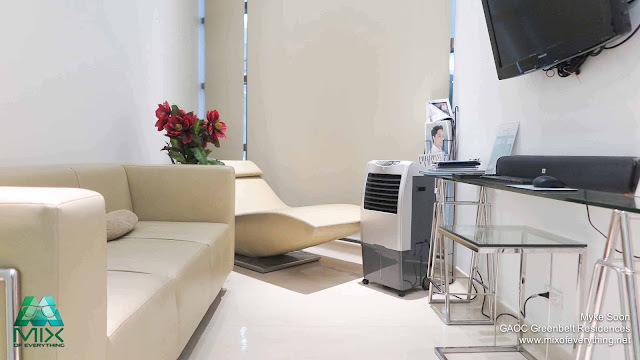 The waiting area is so comfortable and staff and receptionists will make you even more comfortable waiting by offering beverage of your choice. 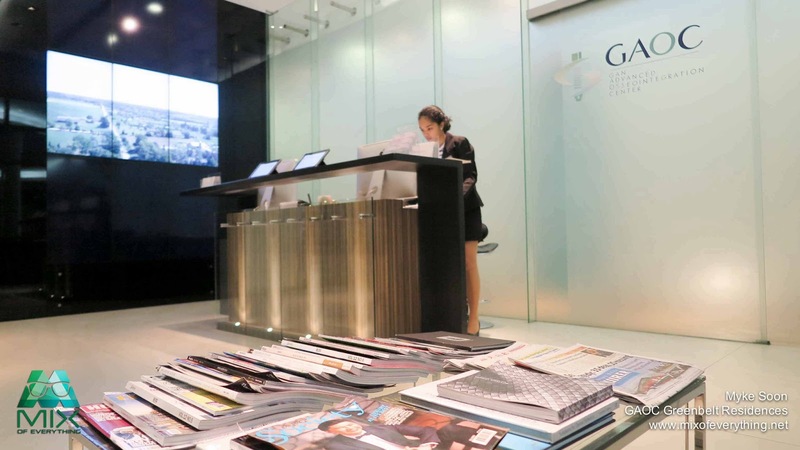 You get to watch a movie or browse their reading materials. After a few minutes of waiting, I was called into a consultation room just beside the TVs. There their head/senior dentist evaluated me and took a bit of my dental history. The head dentist, Dr. Tricie Padero shared that it would be a nice change of pace to have a regular dentist or a regular clinic that can take care and give special attention to the problematic areas of my teeth. 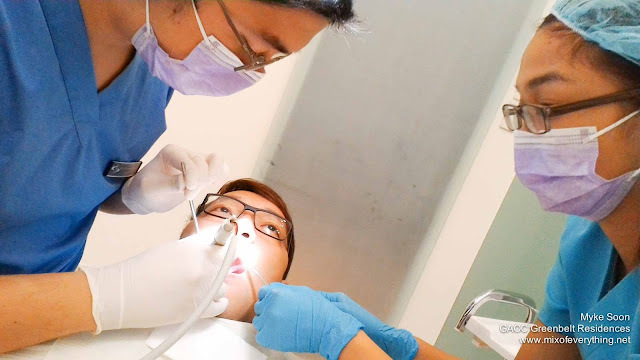 Dr. Tricie also mentioned that there's nothing wrong in availing the dental perks from the HMO card but she also shared that sometimes things may be overlooked because of the influx of patients in the clinic. 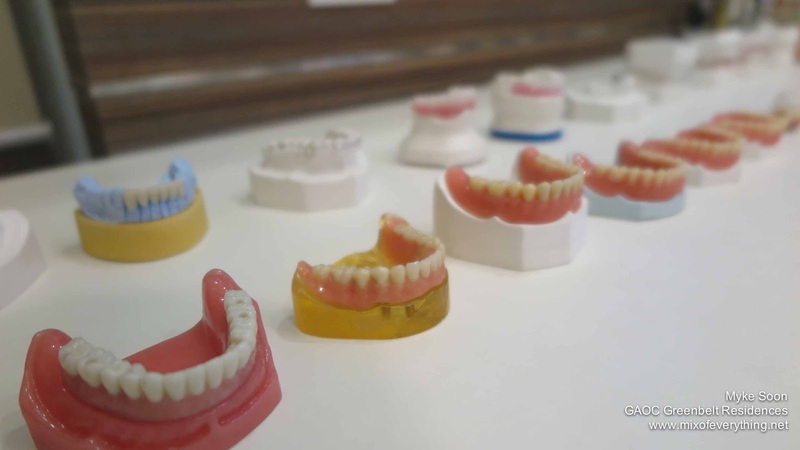 She still recommends having someone look at the progress and better recommend the necessary procedures for your teeth. 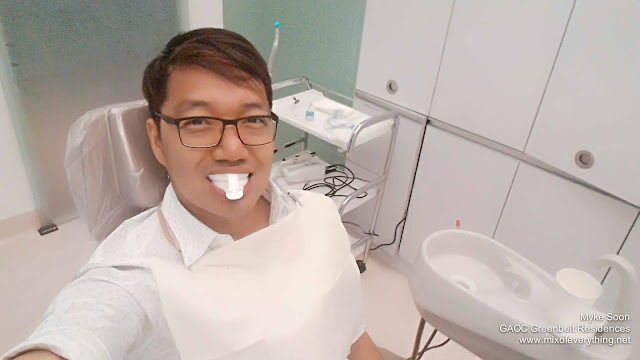 The head dentist also ran me through what was going to happen during my check up and cleaning. Doc mentioned that I will be undergoing a panoramic X-Ray to get a general view of all my teeth at a glance and if need be, focused X-Rays to some tooth that needs special attention. 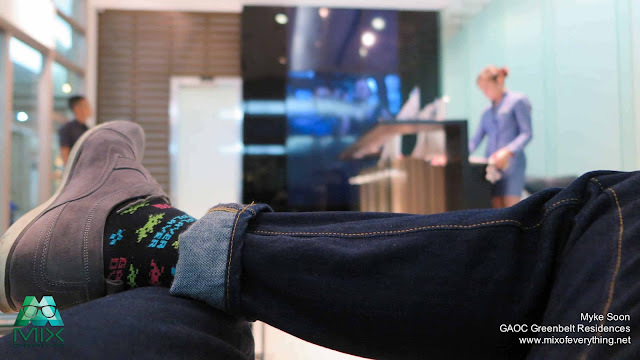 After the consultation, I waited again for a short while. I guess the head doctor endorsed me and teeth to the dentist who would be doing my cleaning. 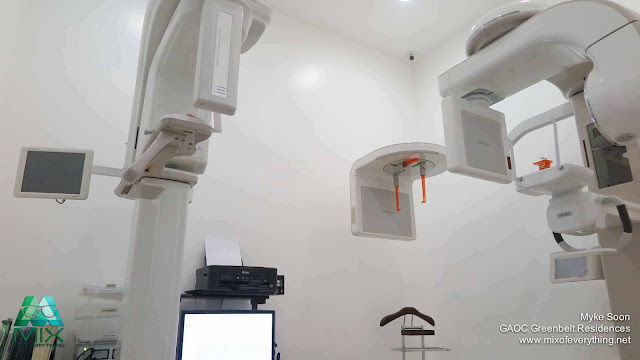 My past dental check-ups with other dental clinics were based on what the doctors see when they inspect my mouth, but as part of GAOC's process and to better assess the patient, part of their initial check-up the dental X-ray. I was then brought to another room for my procedure. Clean, spacious and not intimidating or scary. 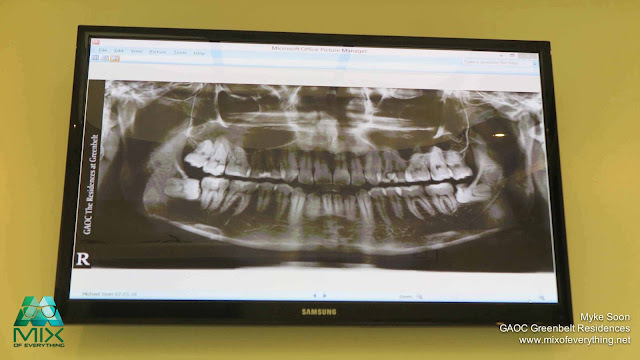 The result of my panoramic X-ray was shown on the TV and explained to me the situation of my choppers. Before proceeding with the cleaning, they asked if I wanted to watch a movie on their screen while they were cleaning me. After the cleaning, two of my teeth was given a focused X-Ray to study if the two is a candidate for root canal and I was treated with fluoride. 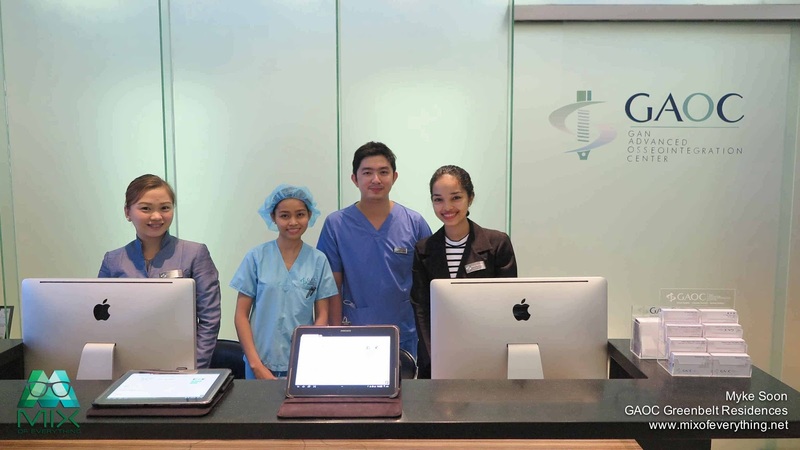 Consultation with the head dentist for history and discussion. 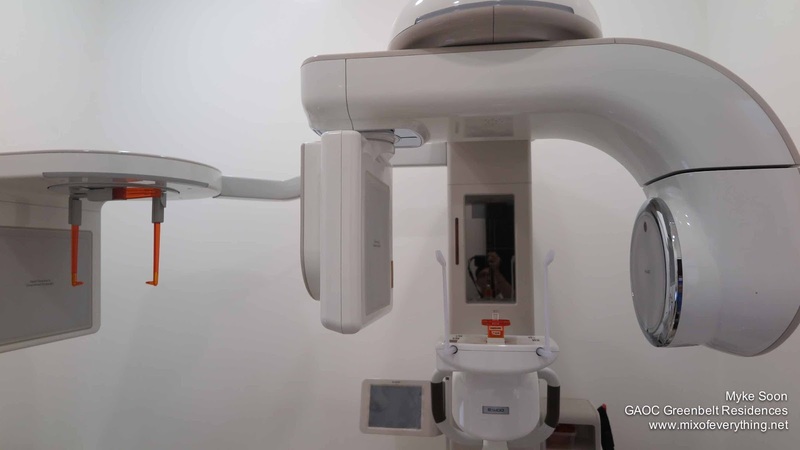 Panoramic X-Ray is highly recommended because there are some things that can't be seen clinically. Cleaning, scaling and polishing. Includes the removal of buildups, flossing and brushing. 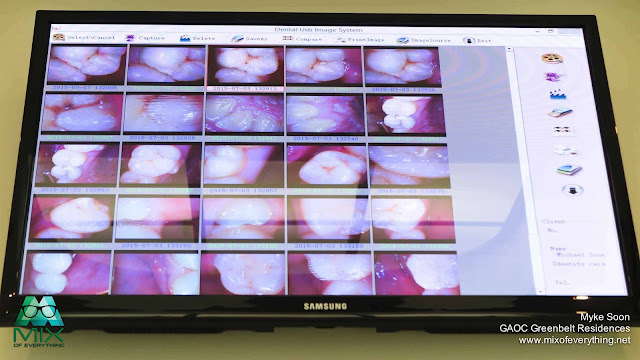 Cavity check is the individual inspection of each tooth which includes the extra and intra-oral photo. last is the Topical fluoride application. When you are to undergo this, patient is not allowed to eat for an hour or drink for 30 minutes. Reason for that is so that the teeth would be able to absorb it and prevent cavities. 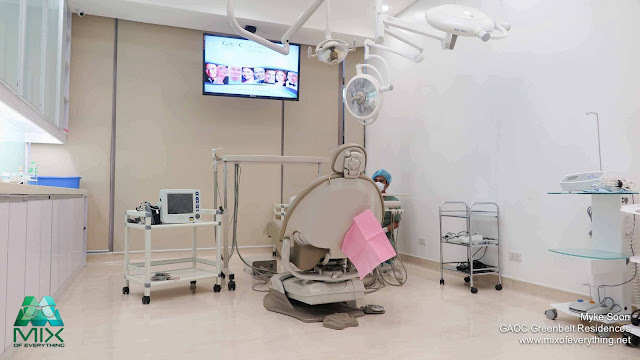 After the treatment, I asked to be given a tour of the beautiful clinic to check out other rooms they have. They have two big operating rooms, treatment rooms, recovery room, sterilization room and dental laboratory. I tell you, the place is huge and really amazing. The look and feel of the place is clean and not intimidating. 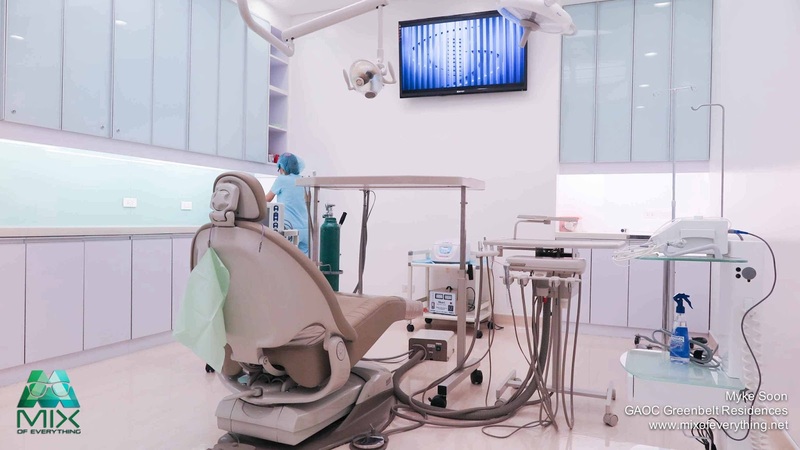 Facilities are modern, unlike your usual dental clinics. 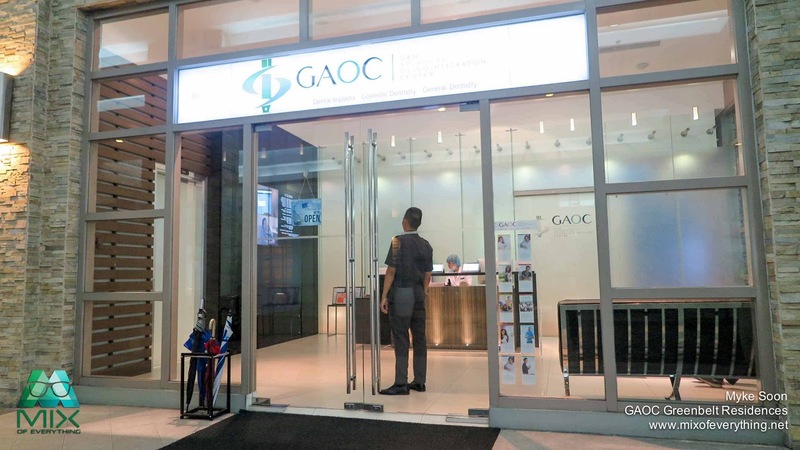 GAOC has branches located in Medical Plaza Makati, The Residences at Greenbelt, Trinoma, St. Luke's Global City and Robinsons Magnolia. 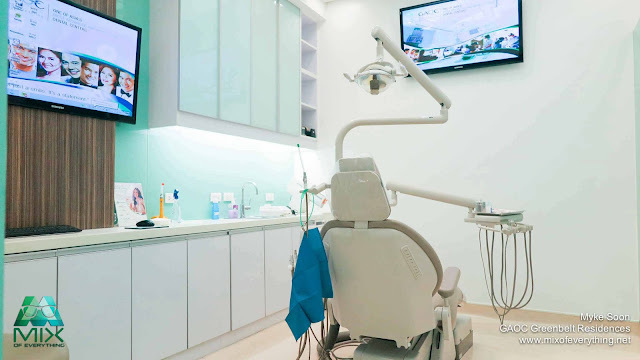 So if you're someone like me who's afraid of going to the dentist or don't know how to start. 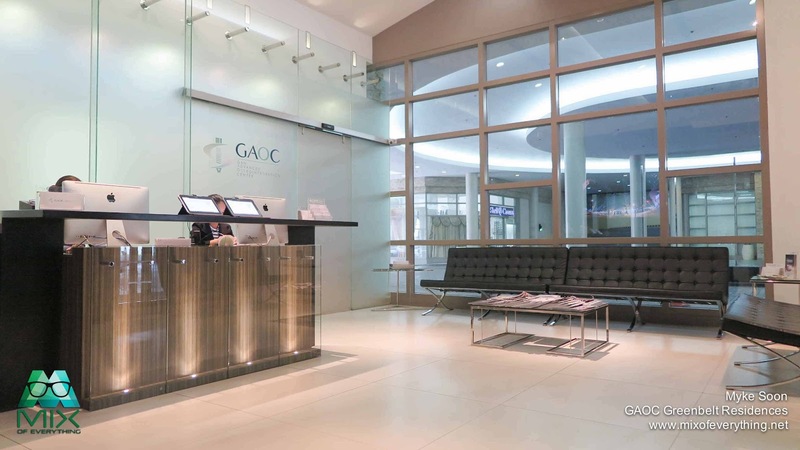 I recommend that you visit any GAOC clinics and have yourself checked. Don't be intimidated with the look of the place.Just in case you're wondering if they are expensive since many celebrities use their services, the answer to that is a no. They are pretty competitive and priced just right. 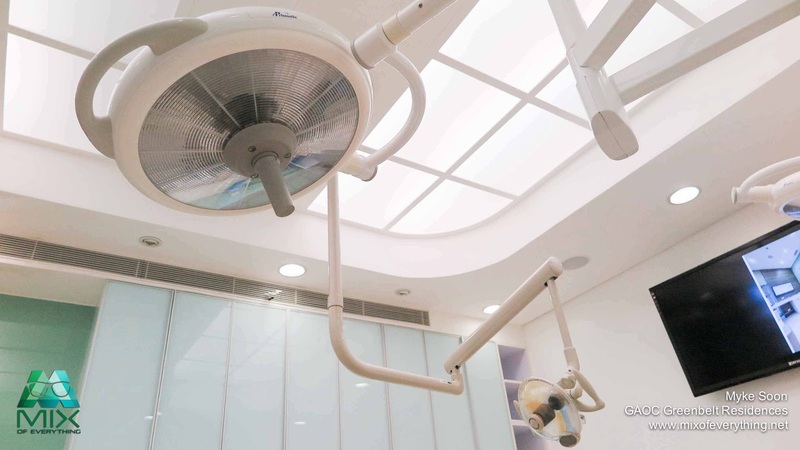 Not only do they have state of the art facilities, but they also have experienced and exceptional dentists with different specialties and fields of practice. So I send my thanks to Dr. Tricie Padero and to Dr. Emerson Amurao my attending doctor and the assistant who made my first GAOC experience exceptional. 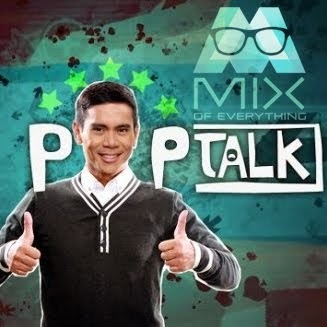 You may also follow them on Facebook, Twitter and Instaram! may i know how much is their teeth cleaning service? Hi! May I ask how much did you pay for all the procedure?